Prosecutors are demanding jail term of 2,697 years for the Italian Captain Francesco Schettino responsible for the catastrophe that hit the ill-fated Costa Concordia. Captain Schettino had last month abandoned his stricken cruise liner, leaving hundreds of passengers stranded onboard, while he himself escaped to safety in a lifeboat to the nearby Giglio Island. 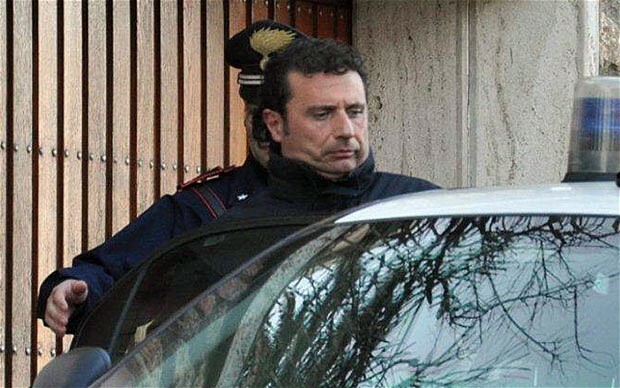 52-year old Schettino is under house arrest serving it at his house in Meta di Sorrrento near Naples which he shares with his wife Fabiola and teen daughter. He also faces the daunting prospect of multi-manslaughter charges being slapped against him. The grand total of this works out to 2,697 years, as 34 people are understood to have perished. 300 passengers were ditched by Costa Concordia captain the night of the catastrophe on Jan 13, 2012. But this argument was countered by Verusio who informed: “When first told he was going to jail, Schettino asked if he could go to a hotel first and then for something to eat. He also has the possibility of escaping to various places across the world.” In other words the chief investigator felt that this clearly underlined the fact that Schettino would try to escape the clutches of justice.